We have a very contentious relationship with our local library. The kids love to go, and I love to take them, but inevitably we leave with armfuls of books that somehow never get returned on time. Oh – and then there was the infamous Page Ripping Incident of ’13; the library just added a new kids’ section that I believe was entirely funded by late fees and damaged book payouts from yours truly. 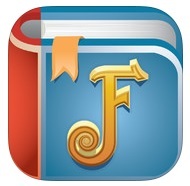 FarFaria: Downloading this app is free and a monthly subscription is $4, giving kiddos access to over 700 stories with 5 new books added weekly – all which can be accessed if you’re offline. The app is geared for young readers ages 2-9, and because the subscription is renewed through iTunes, you won’t have to worry about unwanted in-app purchases. 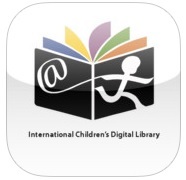 ICDL: The International Children’s Digital Library offers thousands of books from over 60 countries and the app is totally free. Stories are offered in several different languages, but all books have summaries in English and the original language of the book. Check out the website for more information on the organization that created this app. 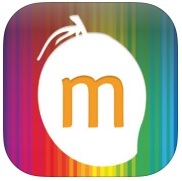 MangoReader: A little on the pricey side, this free download will cost you about $7 a month i subscription costs – but it’s totally worth it. Not only does this app feature over 700 books for ages 2-10, it also has accompanying games – memory, matching, puzzles – to keep kids engaged and learning. Watch out for IAP though, they can really add up. 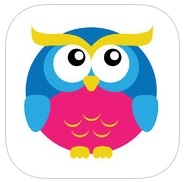 StoriesAlive: Perfect for pre-readers, the target demo of this app are kiddos aged 3-5. Hundreds of books with offline access are geared for pre- and early-reading skill building and new titles are being added every week. For less than a dollar a week you can subscribe to this comprehensive library app for preschoolers. MeeGenius: There’s no room here to list all of the awards this app won when it was released last year, and they are all well-deserved. The download and first 30 days are completely free, after that it’s $5 a month for access to nearly 1000 stories for ages up to 8. 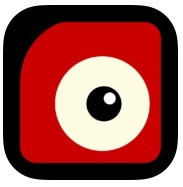 Manage your subscription through iTunes, saving yourself from accidental IAPs.